Terrific sketch! I like the fine details in your galaxies, you can see the spiral arms in the top one clearly. Its always fun to stumble on interesting objects at the eyepiece! Yet another wonderful sketch posted by you here at ASOD. 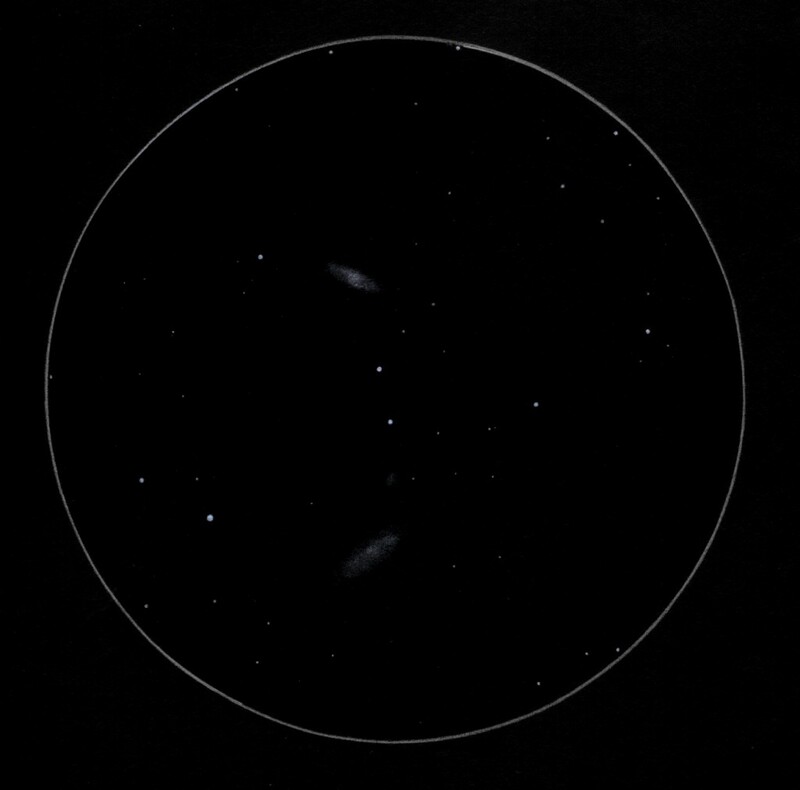 Three galaxies in one sketch from the Virgo cluster. It was one of the best nights I ever had. Very windy but such transparency, that night I had the opportunity to observe objects such as The Horsehead Nebula, Thor’s Helmet, Cat’s Paw Nebula, Running Chicken Nebula, The Jellyfish or galaxies (or cluster of galaxies) down to +14 magnitude in my 12″ dobson. Here’s a photo of my equipment at the star party. Im behind the dobson :).